Jens Wickert is principal investigator in the International Research Training Group "StRATEGy" and holds a joint professorship in GNSS Remote Sensing, Navigation and Positioning at the Technische Universität Berlin together with GFZ. 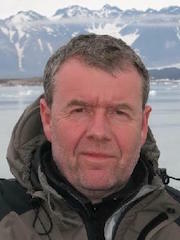 He is responsible for GNSS remote sensing research at GFZ and speaker of the GFZ share in the Helmholtz Research Programme Atmosphere and Climate. One of his main interests is to promote the usage of GNSS for interdisciplinary geophysical applications in Earth System Science. In “StRATEGy” he is involved with his expertise in regional and global GNSS based atmosphere sounding.